University of Szeged, Hungary, 2004. University of Szeged, Hungary, 2011. 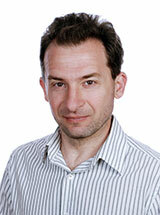 Research Fellow, Young Investigator Research Fellowship of the Hungarian Academy of Sciences, 2007-2011. Fellow in mRNA-based vaccine development, University of Pennsylvania, 2011-2016. Foster JB, Choudhari N, Perazzelli J, Storm J, Hofmann TJ, Jain P, Storm PB, Pardi N, Weissman D, Waanders AJ, Grupp SA, Karikó K, Resnick AC, Barrett DM. : Purification of mRNA Encoding Chimeric Antigen Receptor Is Critical for Generation of a Robust T-Cell Response. Human Gene Therapy October 2018. Pardi N, Parkhouse K, Kirkpatrick EL, McMahon M, Zost SJ, Mui BL, Tam YK, Karikó K, Barbosa CJ, Madden TD, Hope MJ, Krammer F, Hensley SE, Weissman D.: Nucleoside-modified mRNA immunization elicits influenza virus hemagglutinin stalk-specific antibodies. Nature Communications August 2018. Pardi N, Hogan MJ, Naradikian MS, Parkhouse K, Cain DW, Jones L, Moody MA, Verkerke HP, Myles A, Willis E, LaBranche CC, Montefiori DC, Lobby JL, Saunders KO, Liao H-X, Korber BT, Sutherland LL, Scearce RM, Hraber PT, Tombácz I, Muramatsu H, Ni H, Balikov DA, Li C, Mui BL, Tam YK, Krammer F, Karikó K, Polacino P, Eisenlohr LC, Madden TD, Hope MJ, Lewis MG, Lee KK, Hu S-L, Hensley SE, Cancro MP, Haynes BF, Weissman D: Nucleoside-modified mRNA vaccines induce potent T follicular helper and germinal center B cell responses. The Journal of experimental medicine May 2018. Scorza FB, Pardi N: New Kids on the Block: RNA-Based Influenza Virus Vaccines. Vaccines 6(2), Apr 2018. Pardi N, Hogan MJ, Porter FW, Weissman D: mRNA vaccines - a new era in vaccinology. Nature reviews. Drug discovery 17(4): 261-279, Apr 2018. Hogan MJ, Conde-Motter A, Jordan APO, Yang L, Cleveland B, Guo W, Romano J, Ni H, Pardi N, LaBranche CC, Montefiori DC, Hu S-L, Hoxie JA, Weissman D: Increased surface expression of HIV-1 envelope is associated with improved antibody response in vaccinia prime/protein boost immunization. Virology 514: 106-117, Jan 2018. Pardi N, Hogan MJ, Pelc RS, Muramatsu H, Andersen H, DeMaso CR, Dowd KA, Sutherland LL, Scearce RM, Parks R, Wagner W, Granados A, Greenhouse J, Walker M, Willis E, Yu J-S, McGee CE, Sempowski GD, Mui BL, Tam YK, Huang Y-J, Vanlandingham D, Holmes VM, Balachandran H, Sahu S, Lifton M, Higgs S, Hensley SE, Madden TD, Hope MJ, Karikó K, Santra S, Graham BS, Lewis MG, Pierson TC, Haynes BF, Weissman D: Zika virus protection by a single low-dose nucleoside-modified mRNA vaccination. Nature 543(7644): 248-251, Mar 2017. Pardi N, Secreto AJ, Shan X, Debonera F, Glover J, Yi Y, Muramatsu H, Ni H, Mui BL, Tam YK, Shaheen F, Collman RG, Karikó K, Danet-Desnoyers GA, Madden TD, Hope MJ, Weissman D: Administration of nucleoside-modified mRNA encoding broadly neutralizing antibody protects humanized mice from HIV-1 challenge. Nature communications 8: 14630, Mar 2017. Pardi N, Weissman D: Nucleoside Modified mRNA Vaccines for Infectious Diseases. Methods in molecular biology 1499: 109-121, 2017. Pardi N, Weissman D: Measuring the Adjuvant Activity of RNA Vaccines. Methods in molecular biology 1499: 143-153, 2017.